Discover a sport that is becoming more and more popular. Learn to keep your balance and enjoy the sea and the coastal scenery at your own pace, feeling the board slide through the water. 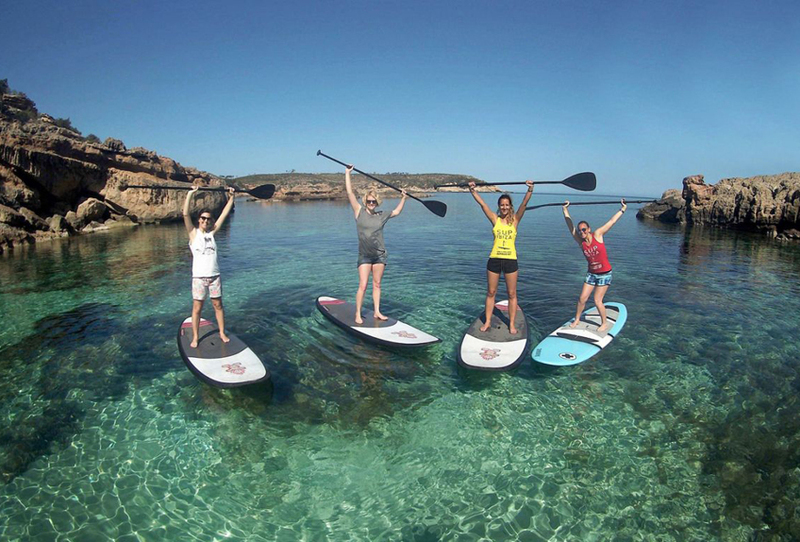 A relaxing, fun activity, ideal for those who want to do exercise in a natural seaside environment, enjoying the pleasant sensation of gliding along on the small waves off the Catalan coast. Get a discount when you enrol more than one person. All the necessary equipment and accident insurance comes included. Use of all the muscles in the body. Activation of the postural muscles. Prevention of hip, knee, ankle and back problems, as well as other possible injuries such as slipped discs, etc. Greater aerobic capacity and muscular endurance. 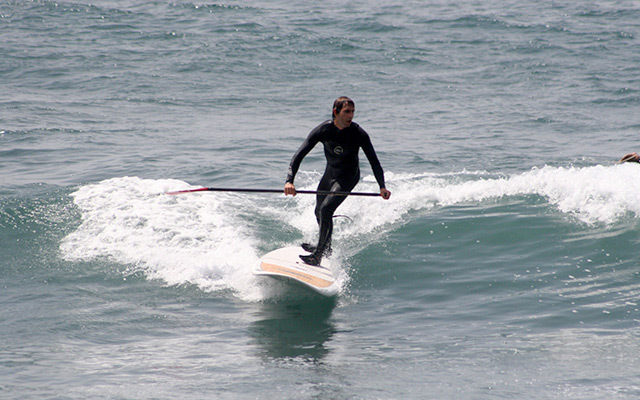 After you book, we’ll send you emails announcing courses every time there are waves ideal for paddle surfing. Just click on the email link to confirm when you will be coming. This way we make sure you learn to surf in ideal conditions. Important note: You must arrive to the school 15-20 minutes before the lesson starts. Your booking will be valid for 1 year from the time of payment. 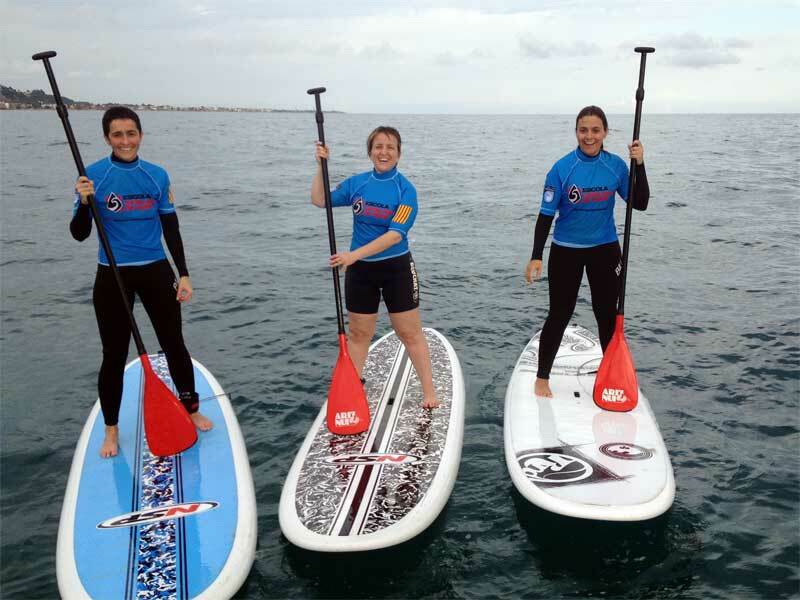 Your surf lesson will be held at either of the schools in Barcelona or Castelldefels. The exact venue is shown on the map.